The wait is finally over, our Lumière de Vie® Renewal Elixir and Rosé Refresher now available for purchase. We announced these two new items would be joining the LDV family later this fall during our MAIC event in August. You all were so excited and could not wait to get your hands on them! Read on to hear more about these amazing new skincare products and why your customers will love them. 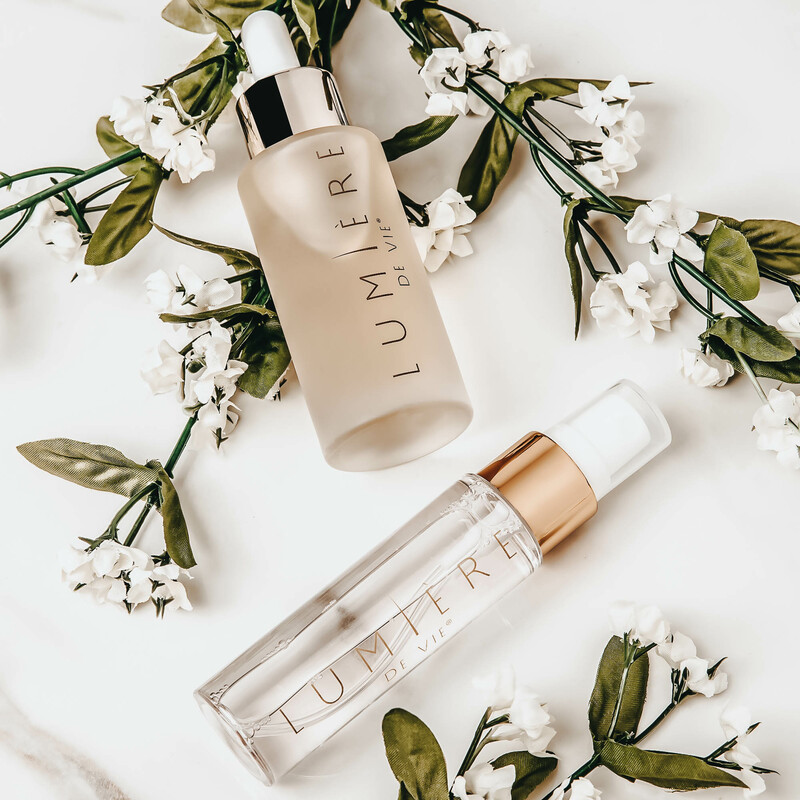 Lumière de Vie Renewal Elixir is a luxurious, superior facial oil that deeply moisturizes and reduces the appearance of aging for a youthful-looking, healthy glow. This gentle multitasker utilizes a weightless blend of skin-loving oils to hydrate, strengthen and smooth for renewed and resilient skin. Texture and elasticity are supported, and the appearance of dark spots is minimized, giving your skin obsession-worthy radiance. Seal in hydration, maintain an even skin tone and defy time with this powerful treatment that revives your skin. What is a face oil? Facial oils are emollients which provide instant softness and smoothness to the skin. They also contain essential nutrients and fatty acids that help create a barrier between your face and the elements, so precious nutrients are sealed in to absorb effortlessly. What are face oils for? A good way to think of it is that oils alone are not moisturizers (and you shouldn’t use them as such). Instead, they should accompany traditionally moisturizing ingredients like hyaluronic acid and glycerin. What do face oils do? 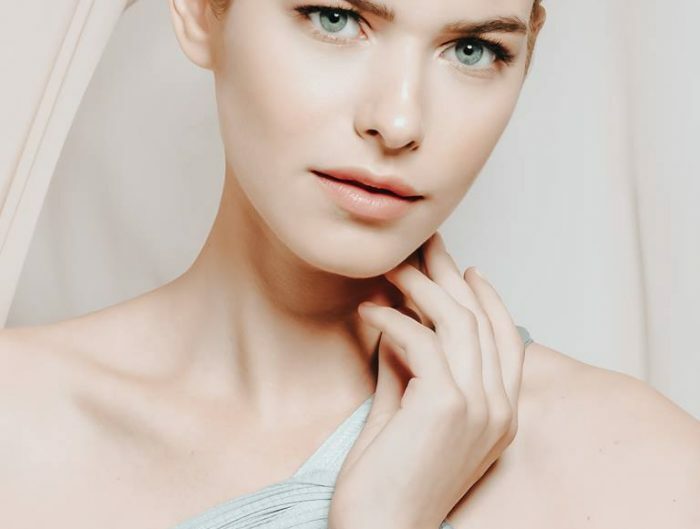 While they’re not the end-all-be-all solution to skin issues, they do their fair share by repairing and protecting the skin barrier, which helps skin absorb your other skincare products. If you’re not seeing the dreamy skin you imagined you would from serums and moisturizers alone, an oil might be able to make that happen. When do use a face oil? Revinage® is a proprietary blend of Bidens Pilosa Extract, Palm Oil, Cottonseed Oil, and Flaxseed Oil. This multi-functional ingredient helps reduce the appearance of wrinkles for a smoother-looking complexion, helps reduce the appearance of dark spots for a more even-toned appearance, and helps the skin feel more supple. Caprylic/capric triglyceride is a liquid ingredient made from fatty acids found in coconut oil and glycerin. It is classified as both an emollient and an occlusive skin conditioning agent. As such caprylic/capric triglyceride helps lubricate the skin, keeping it feeling soft and smooth and helps moisturize the skin by forming a barrier on the skin’s surface to slow the loss of water. Rejuvenate your skin with just one spritz of Lumière de Vie Rosé Refresher. Aloe and Botanimoist effectively soothe and moisturize for skin that feels soft and smooth to the touch, while Phytic Acid brightens for a more refined, radiant complexion. This versatile mist is a pick-me-up for your skin that instantly refreshes makeup and provides long-lasting hydration. Revitalize, renew and reset skin with this calming rosewater toner. Apply with a cotton pad or spray directly onto skin after cleansing. Can also be used throughout the day to freshen makeup and hydrate the skin. Can I Spray It On Top Of My Makeup? YES! Lumière de Vie Rosé Refresher can be used as a makeup setting and freshening spray. Will It Replace My Normal Toner? Lumière de Vie® Rosé Refresher is formulated to be a non-abrasive skin pick-me-up that can be used throughout the day. Due to its mild nature, this product is ideal for those with skin sensitivities as it can be used in place of toner on occasion. However, we recommend using a traditional toner like Lumière de Vie Toner. How often can I use Lumière de Vie Rosé Refresher? Lumière de Vie Rosé Refresher is a soothing toner that can be used several times a day or whenever your skin needs a pick-me-up. Aloe vera, which is naturally rich in nutrients and other plant compounds, is a well-known moisturizing ingredient, helping to keep the skin hydrated and looking smooth and firm. Botanimoist is a proprietary blend of glycerin and a saccharide complex extracted from dried apples. This blend of apple extract and glycerin effectively hydrates the skin. Phytic acid is an organic acid with natural antioxidant properties that is typically extracted from rice bran or other cereals. When used in skin care products phytic acid helps keep the skin hydrated, helps brighten the skin, and helps keep the skin feeling supple. Are You Ready for New Lumière de Vie Products? Can you list all the ingredients!